​The German champions are looking to seal seventh title in a row, but that does not mean they won't be strengthening again next season. FC Hollywood were outclassed by Liverpool in their Champions League quarter final where they were beaten 3-1 at the Allianz Arena. This may be the catalyst for a summer of big spending in a bid for European glory in the 2019/20 season. 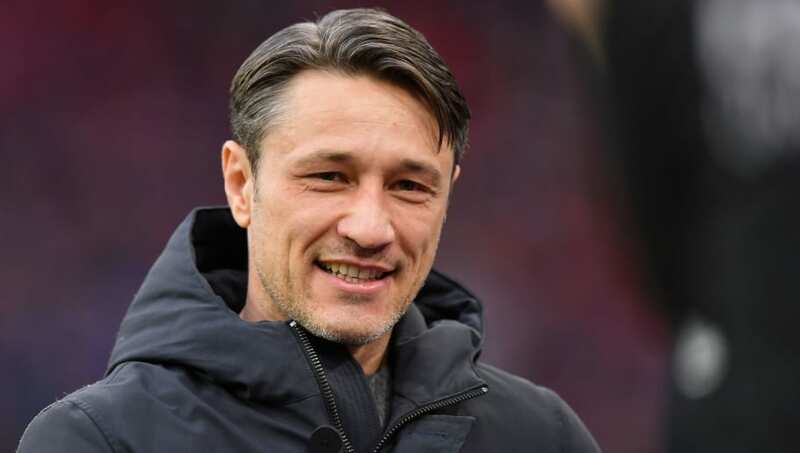 Here are the four areas where manager Niko Kovac may be looking to spend this summer. Bayern may have Robert Lewandowski up top, but there isn't a great deal of depth behind the Polish superstar. Thomas Muller is capable of playing up front, but isn't an out and out centre forward. It makes sense for Bayern to be looking to have a back up plan incase Lewandoski gets injured or perhaps his form drops off. Not since Mario Mandzukic and Claudio Pizarro have they had a true striker to lead the line when the Pole isn't available, and it may indeed help Lewandowski if he was to be rested at points during the season. Leipzig's Timo Werner looks to be the most obvious choice, he's scored 56 goals in 104 games for his current club and has a good record for the German national team scoring nine in 23 games. There have been ​strong rumours that he could be on his way to Bayern, but Liverpool could provide stern competition for the 23-year-old. Another option up top is Henry Onyekuru who has been linked with Bayern, and the Everton forward - who is on loan at Galatasaray - is another young prospect which could play the backup role to Lewandowski. Over the past decade Bayern have had two of the best wingers in the world, Franck Ribery and Arjen Robben, but their time is coming to an end. They have ​Serge Gnabry and Kingsley Coman at the club, but the Munich hierarchy may look to bring in a big name to the Allianz Arena in the search of another European title. Robben has already announced that he is set to ​leave the club, while Ribery is 35 and has only started ten games in the Bundesliga this season. Bayern have been linked with a wealth of options on the flanks, and were interested in ​Chelsea's Callum Hudson-Odoi in the January transfer window who was reportedly ​keen to join the Bundesliga club. If they chose to go elsewhere they could go for experience and splash out on ​Gareth Bale who seems to be constantly linked with a move away. Another option could be Nicolas Pepe at Lille, the 23-year-old winger has been in great form for in Ligue 1 and has been ​linked to the club. This one is very much targeted at backup options on both sides of the pitch. David Alaba and Joshua Kimmich have the left and right back spots respectively nailed down, but there isn't much competition behind them. On the right hand side Rafinha is there to provide cover for Kimmich, but being 33, his playing days are numbered and he may choose to seek first team football so he can play out the remainder of his career. On the left side, there is no recognisable option for the Bayern to replace Alaba when he's injured. German international Jonas Hector, could be an option for Kovac's team. He's played 42 times for the national team, but it might be hard to tempt him away from Koln where he signed a new two-year deal last April. ​Atletico's Lucas Hernandez is a more high profile option, but the attacking left back could fit into the Kovac's team. At right back, 22-year-old Lukas Klostermann could fit the bill, he's played 20 times for Leipzig can play in any position across the back line. Benjamin Pavard is another possibility, he was a part of France's World Cup winning squad has been ​heavily linked with the club. Pavard can can play at right back and at centre half. At the moment, ​James Rodriguez is the main man for Bayern after scoring a hat trick against Koln in their last game, but his loan comes to an end in the summer. It is expected that James will re-sign for Bayern, but if he doesn't, there will have to be a contingency plan to bring in another top quality option to replace the attacking midfielder. Thomas ​Muller is an option at attacking midfield, although he's played in multiple positions this season. It's likely that Bayern will look to sign another attacking player to support and supply Lewandowski this summer. ​Bayern have a reputation of poaching the best talent from other teams in Germany and could sign wonderkid Kai Havertz from Bayer Leverkusen. The 19-year-old has scored 10 goals for Leverkusen and would be an ideal replacement for Rodriguez. Other options could include PSG's Julian Draxler as well as ​Arsenal's ​Mesut Ozil.